We have just returned from our 2nd short break at Haven Hafan y Môr. Our first visit was 3 years ago just before the birth of Charley and we enjoyed the holiday park so much we decided to return for another 3-night stay. When we stayed previously we only used a couple of the attractions on site and due to being heavily pregnant and extremely tired we stayed in most evenings. 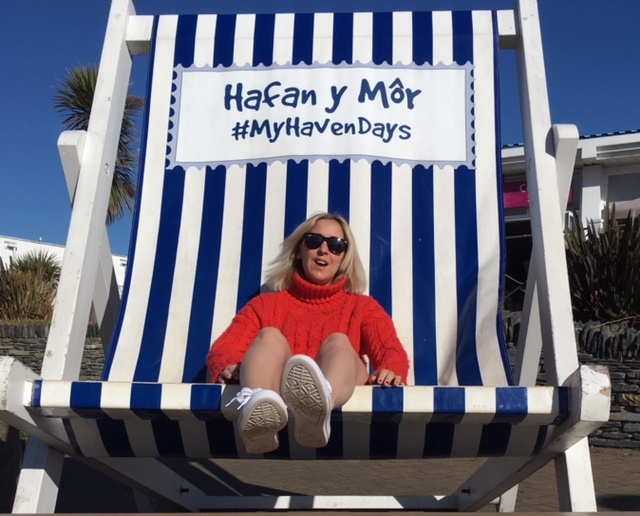 So this time we decided to take full advantage of everything on offer and really put Haven Hafan y Môr to the test. I want to make it clear now that our holiday was 100% funded by us, Haven didn’t know we were coming and this review has been written because I want to give my honest opinion to anyone looking to book a break to Haven Hafan y Môr. We are based in Blackpool so Haven Hafan y Môr was roughly a 3-hour drive away. Check-in is from 3 p.m and collecting your keys and welcome pack from the site’s reception is really easy and quick. 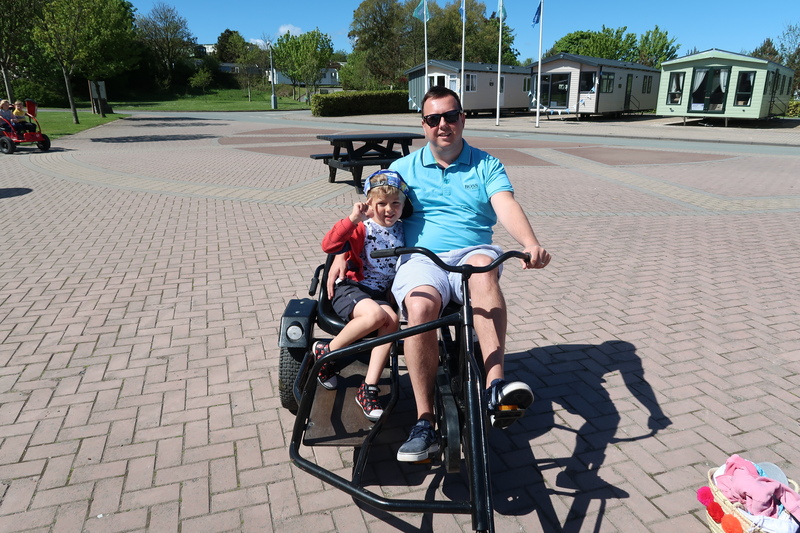 We stayed in a Deluxe – Newer category caravan near the boating lake which was very spacious with 3 bedrooms & 2 bathrooms. The caravan could sleep up to 6 people but I personally think any more than 4 would have felt crowded. 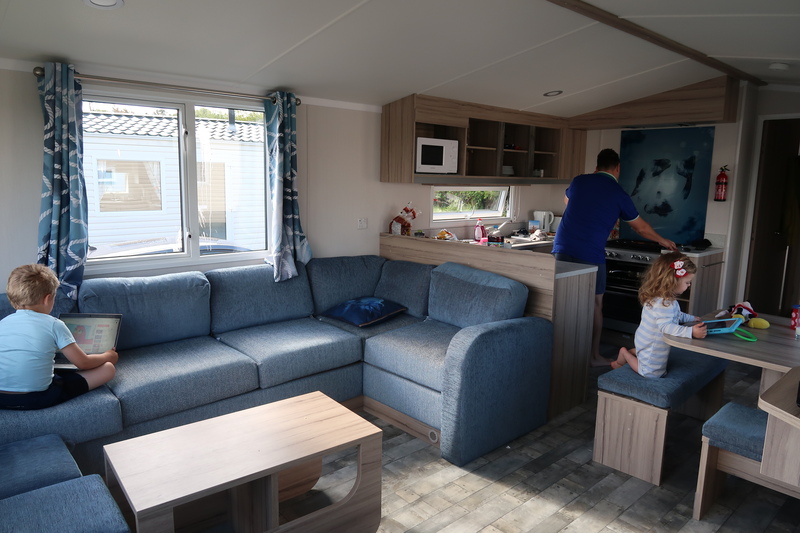 On our last visit, we stayed in a Prestige category caravan and if I am honest I did miss the extra luxury and decking area that comes with the upgraded model. I do have to say that there was nothing wrong with the Deluxe – Newer model and we arrived at a spotless, well-presented accommodation, with all the essentials* required for our stay. *Towels are available to book at an additional cost, but we took our own. We took a cool bag packed with a few frozen pizzas and quick meals we could make for lunches but most of the time we grabbed food from the selection of venues on the park. The Mash & Barrel restaurant was a 5-minute walk from our caravan and normally I am very sceptical about the food quality from ‘on-site ‘ venues but I needn’t have been as the food was delicious, good-sized portions and very well priced. We also ordered pizza from Papa Johns on site and I really enjoyed it. The only downside to both was the wait time was about 1/2 hour after ordering but they did make this clear from the start. The site has 2 mini markets as well so if you want to save a few pennies and cook in the caravan you can. Prices again were reasonable and on par with a Tesco’s Express. Now as I mentioned last time we visited the park I was heavily pregnant so not drinking anything alcoholic, this time I was not pregnant and with 2 kids in tow, Mummy needed an ice-cold beverage after a long day of action-packed fun. Mash & Barrel has a lovely outdoor seating area right next to the kids park so while we sipped a cold glass of wine the kids played safely in front of us. At night the evening entertainment was inside the Cove and from about 8 p.m onwards the venue gets very busy and so does the bar. Be prepared for a 10-minute wait. If alcohol isn’t your thing and coffee are Haven Hafan y Môr has a Starbucks with the full menu of drinks available. Each morning at 9 am I took a little walk and enjoyed a quiet coffee in the sunshine. 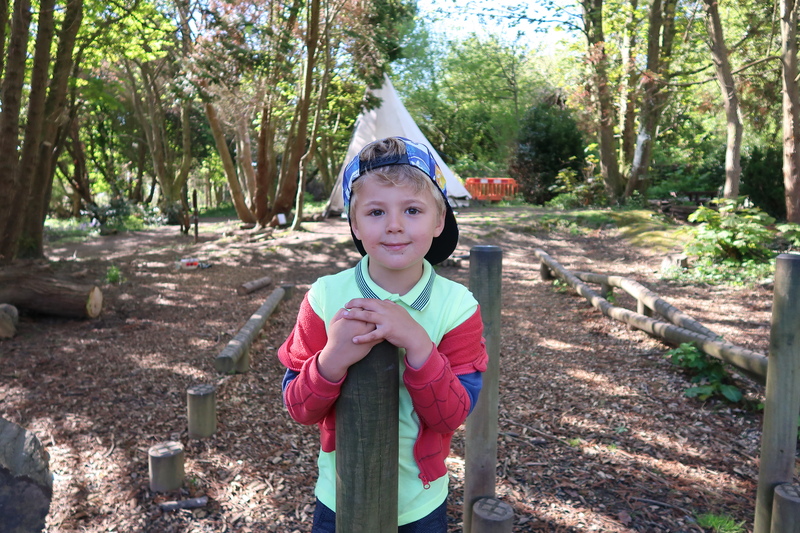 There is a vast array of free & chargeable activities to do each day ranging from den building in the forest to Segway tours around the site. I offered to book a couple of the Nature Rock activities for Harry but he chooses a morning of peddling around on a go-cart with Lee instead. There is a selection of bikes and scooters available to hire so while Harry & Lee were zipping around on their go-cart Charley took to 3 wheels on a Micro Scooter which cost £5 for an hours hire inc Helmet. There are also several parks dotted around the site which gives the kids plenty to do and parents a welcome 10 minutes break. By far my favourite and totally free activity ( about it the cost of a net & bucket ) is a few hours down at the beach playing in the rock pools. Even though it wasn’t the warmest of days we still all enjoyed paddling in the rock pools and netting a selection of creatures. 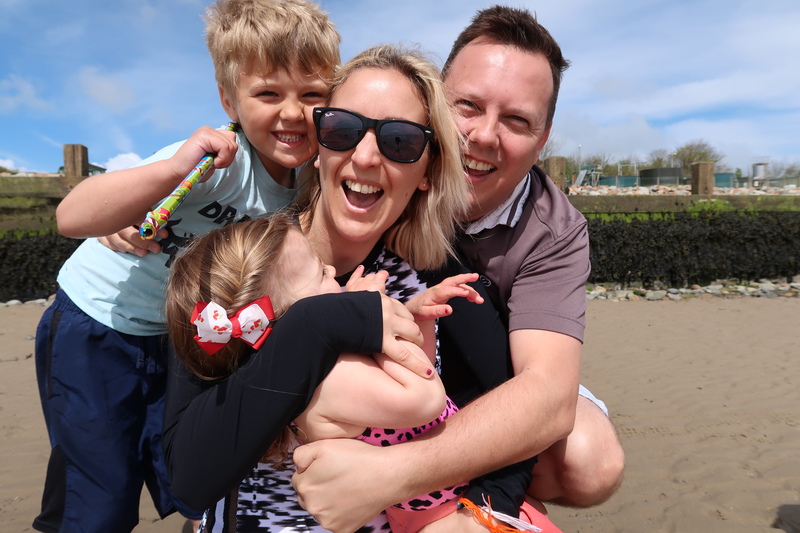 It did help that I packed my new rash guard swimsuit by Gottex from Uk Swimwear that kept me warm and was the perfect swimsuit for running around after 2 kids on a Welsh beach. The pool at the Haven Hafan y Môr has just had a 3 million pound refurb and is a brilliant way for the kids to burn off some steam. It has several child-friendly slides suitable for anyone 5+ and a great toddler area perfect for an adventurous 2-year-old. It was nice to see how clean the changing area was and the amount of Life Guards on duty at once. Water temperature wise, it was a little bit chilly but after the first trip I wore my rash guard swimsuit and found that really helped keep the chill at bay. For an additional cost, the pool also has bookable sessions to use the AquaJets, Water Walkers & Turbo Paddlers. Harry was keen to join in with the kids evening activities so we joined the other mums & dads at the advertised time of 6 p.m for the Kids Disco. You need to get there for 6 p.m for a decent table near the front but the actual disco doesn’t start till nearly 6.20 which when you have 2 over excited kids can be a long 20 minutes wait. The disco is pretty poor with only a couple of cheesy songs and 1 entertainer leading a pack of 30 small kids. The word chaos springs to mind. 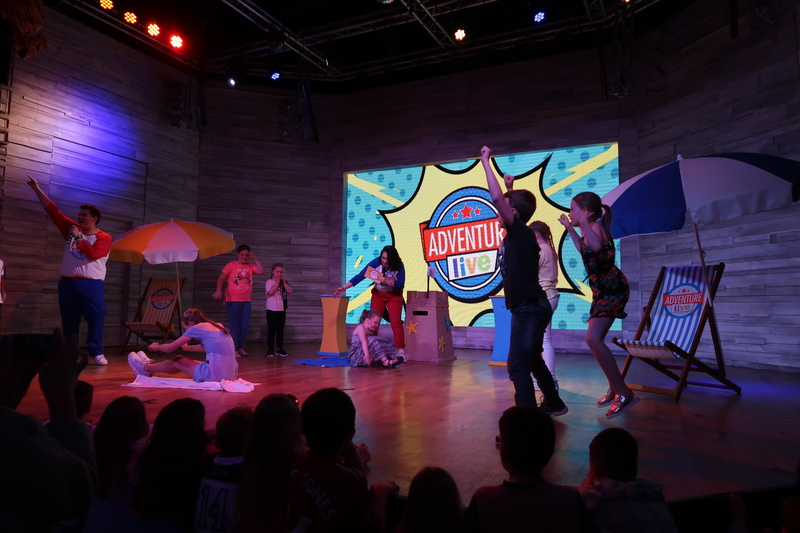 The kids show featuring Rory The Tiger and Anxious The Elephant was a roaring success for Harry but personally, I found the American accent all the characters had a bit strange for a UK based holiday park. I also didn’t like that all the kids were invited to queue for a picture with Anxious The Elephant but instead of being able to take a quick snap on your phone, Haven has a photographer and a £8.99 price tag for the photo. I say all of this from the point of view of an adult but I can assure you every kid on that dance floor was thoroughly entertained and joining in with all the characters. From 8.30 onwards the adult-based shows start. On the 2 nights we went to The Cove we saw a very old school illusionist & a Michael Jackson tribute show. They may both have been done a million times but both shows were well choreographed and entertaining. Charley by this point had normally fallen asleep in her pram and Harry loved watching the magic tricks and dancing along to The Jackson 5 songs. Just to add for anyone who enjoys a good dabber, bingo is available to play each night too. I had a go in the spirit of trying something new but put it this way Mecca Bingo won’t be getting a new member anytime soon. 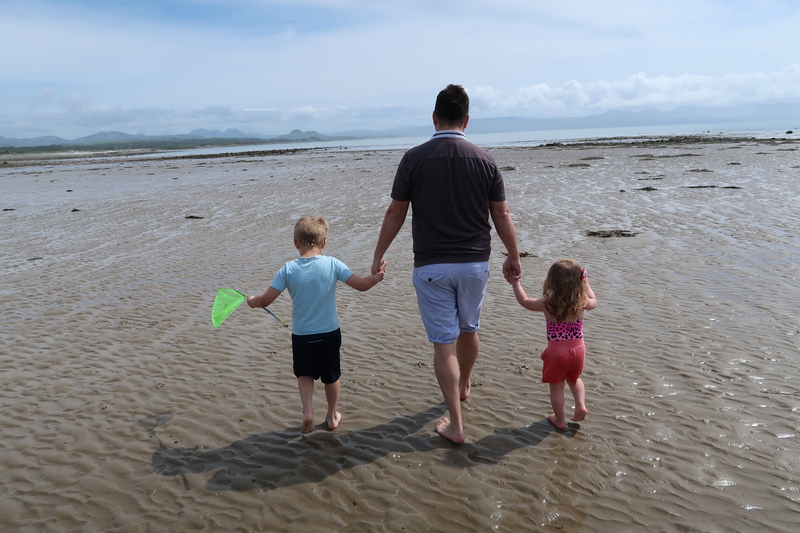 So that concludes my review of Haven Hafan y Môr and our first staycation as a family of 4. Overall I love the Holiday Park and the positive points definitely out way the negative points. Will we be returning? Then yes, I think we will in the future for another short break and to enjoy an easy and restful few days as a family. "Last Minute Wedding Tips For The Bride To Be"